You may need to survive on your own after a disaster. This means having your own food, water, and other supplies in sufficient quantity to last for at least three days. Local officials and relief workers will be on the scene after a disaster, but they cannot reach everyone immediately. You could get help in hours, or it might take days. Store at least a three-day supply of non-perishable food. Select foods that require no refrigeration, preparation or cooking, and little or no water. If you must heat food, pack a can of sterno. Select food items that are compact and lightweight. Avoid foods that will make you thirsty. Choose salt-free crackers, whole grain cereals, and canned foods with high liquid content. Note: Be sure to include a manual can opener. Comfort/stress foods — cookies, hard candy, sweetened cereals, lollipops, coffee, tea. Next week we will complete the list of items for your emergency supplies kit. 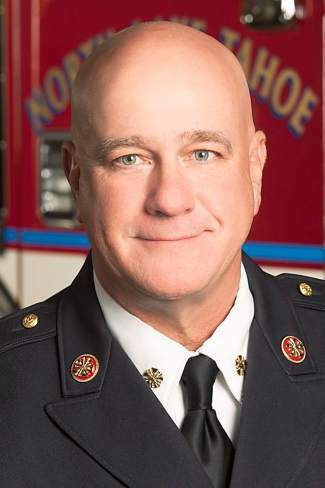 “Chief’s Corner” is a regular feature in the North Lake Tahoe Bonanza from North Lake Tahoe Fire Protection District Chief Mike Brown, offering information, tips and education material on fire safety, emergency preparedness and other pertinent topics.